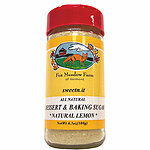 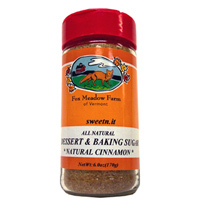 Our dessert and baking sugars can be used in so many ways: sprinkled on cakes, muffins, cookies, pancakes (kids love it), fruit, cereal, oatmeal, custards, tarts or anything needing a little flavored sweetness. 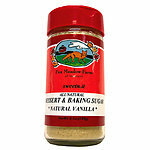 They're also a great way to flavor coffee, tea, meringues and whipped cream or to use as a glaze for roasted pecans, walnuts, etc. 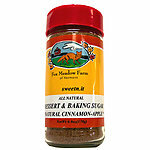 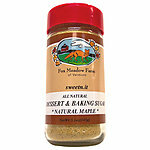 The Maple, Natural Vanilla, Cinnamon and Cinnamon-Apple Dessert Sugars all would be wonderful toppings for a nice hearty french toast.